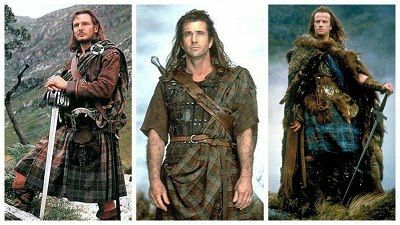 Exclusive pictures from the set of the much-anticipated sequel to Robin Hood: Men in Tights , William Wallace: Men in Kilts ! I can't participate this week. The sight of Liam Neeson in his Rob Roy getup automatically renders me incapable of doing anything except drooling. I keep thinking there should be some good riff on "There Can Only Be One" such as "There Must BE At Least Three!" Or maybe "Gotta Catch 'Em ALl!"